In 2014, 16,000 children younger than 5 died every day - most from preventable causes. It's estimated that nearly half of these deaths were tied to hunger. That's about one every 10 seconds. Most of these children die not from starvation, but from malnutrition - meaning too long without the right kind of food. Eating just enough to stay alive weakened their bodies so much that disease could strike. Worldwide, 795 million people are chronically hungry. 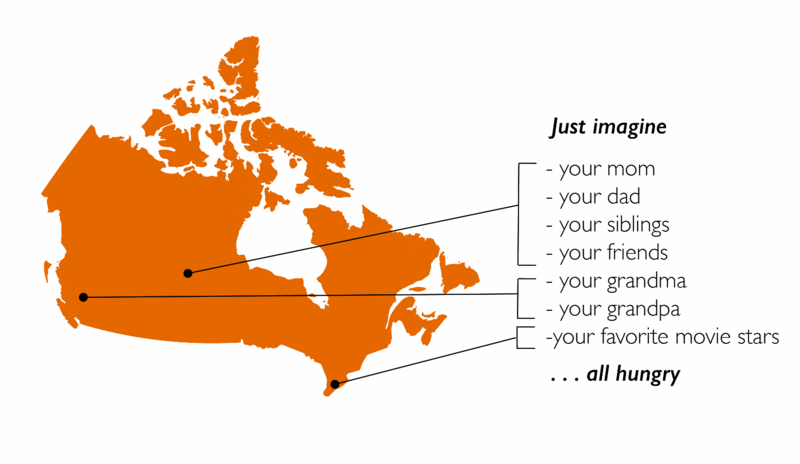 That's nearly 22x the population of Canada! 1 in 9 people around the world suffer from malnutrition as a direct result of famine, and in a child, the lack of nutritious food can permanently affect a child's physical and mental development.